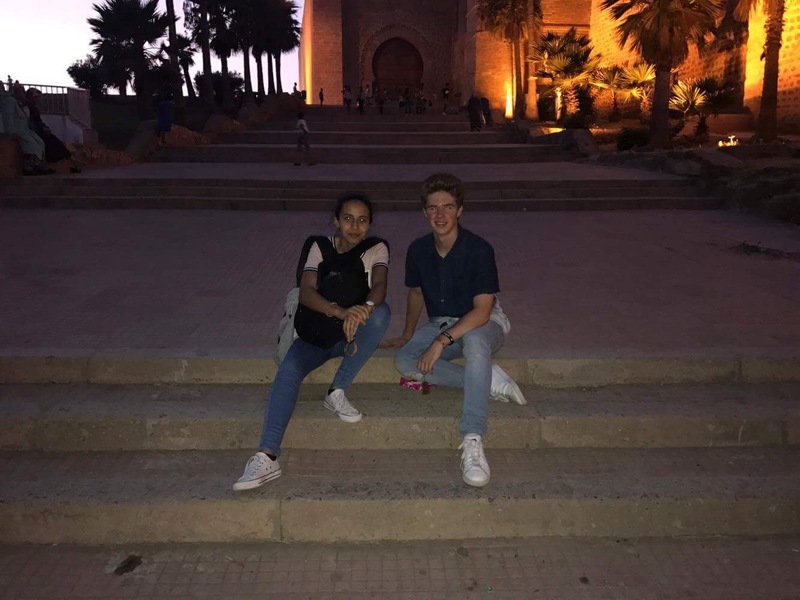 Michael is an alumnus of the 2017 summer Arabic program in Rabat, Morocco. He is originally from Leawood, Kansas. Last summer, for six weeks I studied Arabic in Rabat, Morocco with NSLI-Y. This experience helped me immensely in learning Arabic through immersion, and it broadened my worldview and provided me with insight into how other global citizens view the United States. Within the NSLI-Y program, there is much emphasis put on working with people to bond and share American culture and values while also learning about the culture of the host country’s culture. This helped both me and native Moroccans to create a lasting cross-cultural connection. On an excursion to the cosmopolitan Marrakech, my group spent two days at a convention held by iEARN, an organization that aims to spread education through technological cross-cultural interactions and study abroad programs and one of the implementing NSLI-Y exchange organizations. At this convention, I watched as my peers performed cultural demonstrations from their respective countries, and my NSLI-Y group shared dances and music from our respective cultures such as India, Ireland, Iran, and Mexico. After socializing with teens from Turkey, Tunisia, Japan, Palestine, Pakistan, Taiwan, and Brazil, I overwhelmingly heard that my international peers’ perspective of American people had changed. They explained that the stereotypes of Americans in their respective countries revolved around Americans being too proud of their own country to pay any attention to anywhere else. It was nice to think that by simply being open to other people and having a brief interaction with them, their perspective of American people could change drastically. This change of heart among my peers was significant to me because I realized that these globally minded students like me are the future of society, and they call for globalization and cross-cultural understanding. I was glad to have made new friends and just have fun while promoting cross-cultural understanding along the way. Instead of thinking about politics or religion or demographic of a country, I now think about my friends who live in that country. When I think of Turkey and I think of my friend Sahra; when I think of Japan, I think of my friend Takuto; and when I think of Morocco, I think of a home and family where I spent some of the most enlightening weeks of my life. Later during my stay in Morocco, I met and formed relationships with a nu mber of native Moroccans whom I learned weren’t that different from me or other everyday Americans. 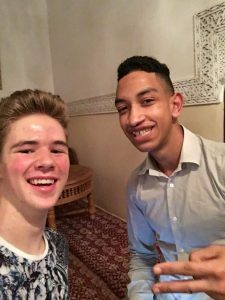 As people, Moroccans and Americans both welcome different opinions and ideas and are interested in similar – if not identical – pastimes like participating in or watching sports, shopping in the local market, dancing, playing music, and relaxing with friends. Initially, I had expectations of differences I would find in Moroccan culture and American culture. I thought the two countries to be drastically different, and it was not until I lived among Moroccans and experienced their culture that I truly understood how deeply our respective cultures resemble each other.